The British royal family is in the news quite a bit lately, due to a certain event that's coming up. In addition to the current crop of royals, this has also been a very good year for some royals from a few generations back. 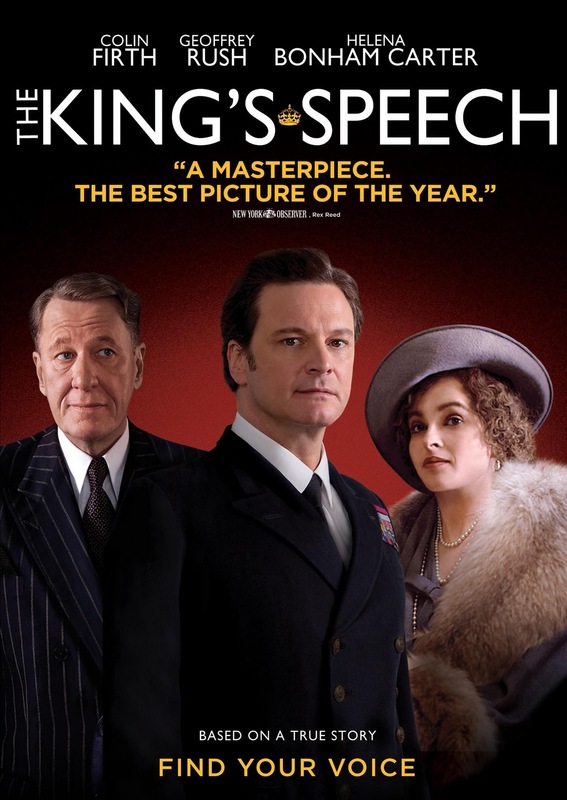 The film The King's Speech was certainly the most decorated film at this year's Academy Awards, winning Best Actor (Colin Firth), Best Director (Tom Hooper), and Best Picture. I was lucky enough to see the film in the theater. This was before it had received so many nominations, and I was surprised to find the theater absolutely packed. I was even more surprised at the round of applause that broke out at the end of the film. That's when I knew for sure that this was a film to be reckoned with! Anchor Bay Entertainment and The Weinstein Company announced will release the Blu-ray™ and DVD versions of The King's Speech on April 19th. 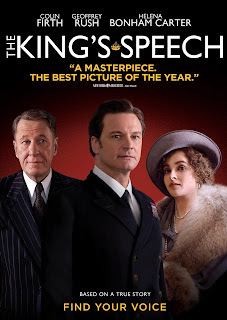 After the death of his father King George V (Michael Gambon) and the scandalous abdication of his brother King Edward VIII (Guy Pearce), Bertie (Colin Firth) – who has suffered from a debilitating speech impediment all his life – is suddenly crowned King George VI of England. With his country on the brink of war and in desperate need of a leader, his wife, Elizabeth (Helena Bonham Carter), the future Queen Mother, arranges for her husband to see an eccentric speech therapist, Lionel Logue (Geoffrey Rush). After a rough start, the two delve into an unorthodox course of treatment and eventually forge a genuine friendship. Through this unexpected bond, the new monarch will overcome his stammer to find his voice, inspire his people, and rally the world. The King's Speech is cinematic royalty: a magnificent production, studded with glittering performances, based on a true story of friendship, triumph and, ultimately, glory. The Blu-ray™ and DVD bonus features include an audio commentary with director Tom Hooper; a 20-minute “Making Of The King’s Speech”; archival footage of the actual King George VI; and much more. Be sure and get yourself a copy of this wonderful film which will leave you cheering, too!